I enjoy fine Champagne—a lot. So much so, I included a stop in Reims on my recent trip to France. 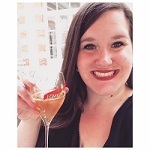 (Champagne cellar tour post coming soon!) But when I'm not wining and dining myself on vacation, I stick to more affordable options. Thankfully you can have a Champagne experience without the Champagne price. 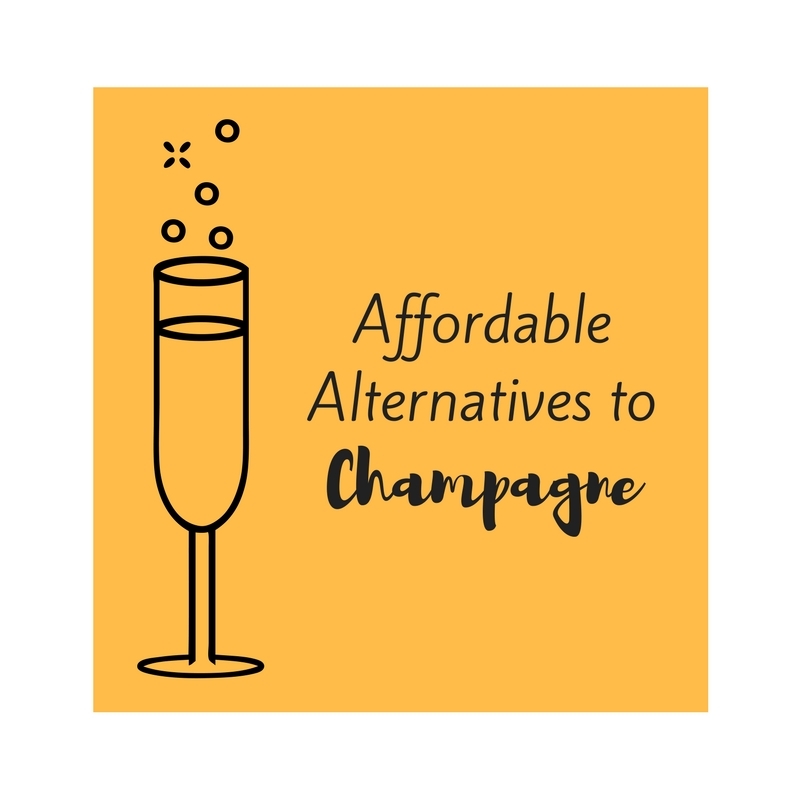 The key to finding close approximations to Champagne is knowing which sparkling wines are made by méthode champenoise or méthode traditionnelle. Before we delve into those types, let's tackle this méthode thing, known in English as the traditional method. The process is hallmarked by secondary fermentation in a bottle (not a tank, as is the case with Prosecco). Still base wine is bottled with yeast and sugar (liqueur de tirage) and topped with a crown cap to undergo secondary fermentation. The yeast gobbles the sugar, which produces carbon dioxide bubbles that are trapped within the bottle. The now sparkling wine is left to age on its dead yeast cells (lees), until it is ready for riddling. Sur lie (adj. ): Allowing a finished wine to sit on its lees. To riddle a bottle, winemakers either use riddling racks, like the ones pictured below, or a machine called a gyropalette. While picturing a little old man riddling bottle after bottle is romantic, gyropalettes have helped bring the cost of sparkling wine down and the final product is exactly the same. After the riddling brings the lees into the tip of the bottle, they are frozen and disgorged. The bottle is quickly topped off with a dosage of Champagne and resealed with a cork. Bottles of sparkling Champagne wine are then aged and sold. 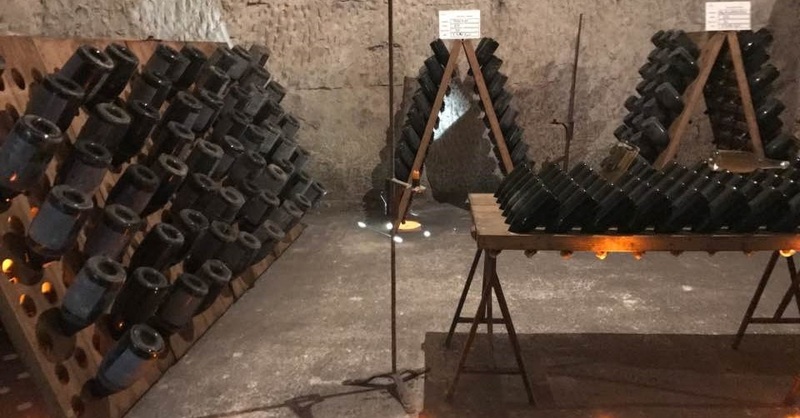 Traditional riddling racks at Veuve Clicquot. It was invented by the Grand Dame herself. In order to be a good Champagne alternative, a wine must first be made like Champagne. Yes, there are other incredibly important factors, like terroir and grape selection, that make fine Champagne what it is. But to get those wonderful flavors of brioche in your bubbly, you need a wine rested on its lees, preferably in a bottle. Spain's answer to champagne! Winemakers can use 12 different grape varieties to make Cava, but they tend to lean on Macabeo, Parellada, and Xarello. Importantly, this Spanish sparkler undergoes secondary fermentation in a bottle, just like Champagne. This means that Cava gives you many of the flavors you love in Champagne: citrus, toast, almonds, and white and yellow flowers. There are three Cava classifications: Cava, Reserva Cava, and Gran Reserva. Like most Spanish DOs/DOCs, these reflect the time the wine spent aging. Gran Reservas will have sat on their lees the longest and therefore they will be the most complex. I recently enjoyed a bottle of Castellroig Brut NV Cava that tasted far better than its $13.99 price tag. It is a blend of Macabeo, Parellada, and Xerello. On the nose, I got lemon and orange followed by a strong whiff of brioche. I highly recommend it! Back to France we go! Unlike Champagne, which is only made in the Champagne region, this French sparkling wine is made all over the land of brie and bubbly. Regions include the Loire Valley, Burgundy, Jura, Rhone Valley, Pays d'Oc, and Bordeaux. Basically, the French love sparkling wine and don't want to restrict themselves to Champagne—just like us! Given the large number of regions, Crémant is made with a wide variety of grapes. Burgundy uses its two main grapes, which happen to be two of the three grapes used in Champagne: Chardonnay and Pinot Noir. (The third in Champagne is Pinot Meunier.) Meanwhile, Loire sparkling wines are made with Chenin Blanc, and the list goes on. 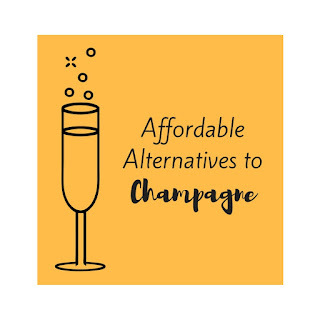 The top thing to know here: If a French wine is labeled as Crémant/méthode traditionnelle, it is made the same way as Champagne but it is unlikely to cost as much! TIP: Find labels marked "méthode traditionnelle". Many other countries, including South Africa, the United States, and Australia, make sparkling wines in the traditional method. They also make some using the tank method, like Prosecco, which is delicious for its own reasons and will most certainly get its own post! If you're looking for a Champagne-style wine from South Africa, keep your eyes open for méthode cap classique on the label. This is how South African winemakers label their traditional method bubbly. For U.S. or Australia traditional method sparkling wine, look for "traditional method" on the bottle. You can also research French Champagne vinters who produce wines in these countries. For example, Moët & Chandon owns Domaine Chandon in both Napa Valley and Victoria, Australia. Too many of us reserve sparkling wine for occasions that call for a splurge. With this information, I hope you can make any day a celebration! Pop open a bottle of Cava or Crémant this weekend and bask in your sparkles and savings. Do you have a favorite sparkling wine? Leave me a suggestion in the comments section!